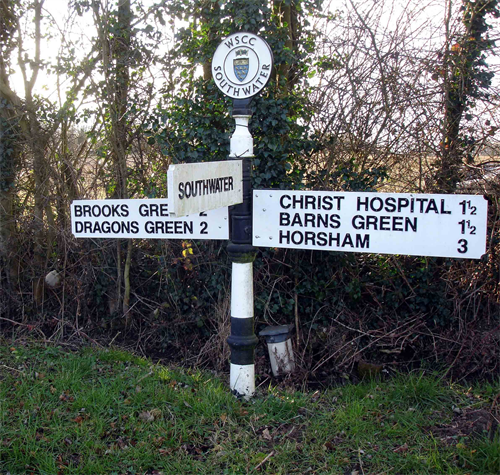 The Parish Council came into being in 1987 upon the demise of the Horsham Rural District Council, due to Local Government re-organisation. The Parish Council is a Statutory Body, with members elected every four years and is funded through the local precept (council tax). The income and expenditure for the next financial year are calculated in the form of a draft budget. The net amount (the precept) is then added to the council tax, collected by Horsham District Council and paid to the Parish Council in two separate instalments. The Parish Council can apply for other funding such as grants and funding awards, but it does not receive funding direct from central government as, say, the County and District Councils do.There are currently fifteen members of Council, there are currently 6 female and 9 male members, all of whom are voluntary. The Parish Council currently not only operates its offices and chamber in Beeson House, but also manages Beeson House. The Council both owns and operates Southwater Leisure Centre, Easteds Barn, Easteds Allotments and large areas of public open space including land lease in Church Lane. Apart from staffing the buildings, it also employs a team of Litter Wardens, currently four, who are ably assisted by two volunteers, covering the entire village and also areas on the outskirts of the parish, Newfoundout, Tower Hill, Two Mile Ash and Christ's Hospital. The Parish Council is responsible for many of the village dog and litter bins, grass cutting of parish owned land and public open space, together with nearly 60 street lights. In addition The Parish Council are "Custodian Trustees" of Southwater Village Hall in Church Lane, which is currently managed by a Charitable Management Committee. Considered the first tier of local government, a Parish Council can deliver a vast array of public services at a local level. Currently there is a three tier system of local government in West Sussex. The Parish Council has a large range of powers and therefore is actively engaged on your behalf on a variety of different activities within the community. A list of the powers and duties available to the Parish Council can be viewed here.